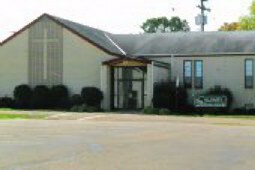 CBC is located in the heart of the village of Byesville, in Southeastern Ohio. We are easily accessible from nearly any direction you’re coming from. An easy way to get to the church is to enter Byesville via Exit-41 from Interstate-77. Travel West on Main Street (Rt. 209). Drive straight through Byesville’s only stop light. Turn left onto 6th street. Drive through 2 stop signs and find CBC located at the Corner of Race Ave & 6th Street. Our primary entrance and parking lot is off of 6th street. Our handicapped entrance and parking is off of Race Ave.